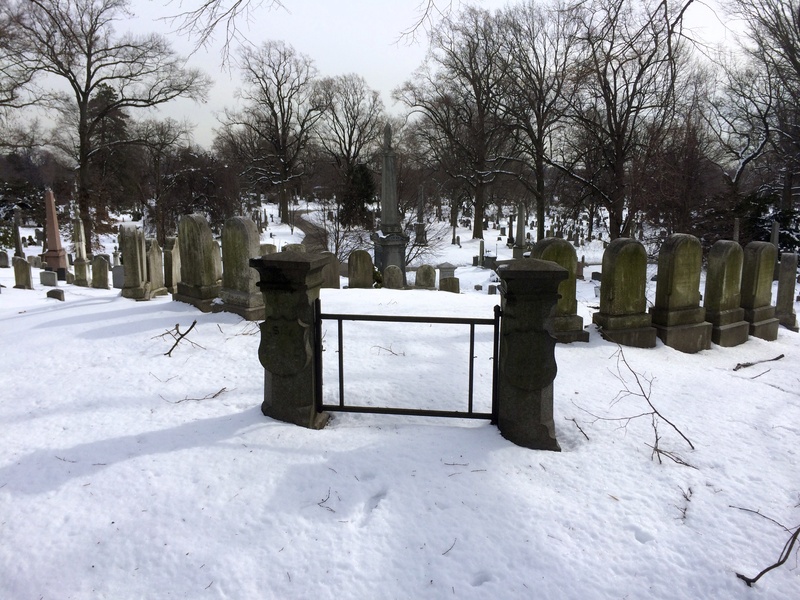 I ventured out on this crisp Sunday to go for a walk in Green-Wood Cemetery. The images above give a sense of the extent of the snowfall in New York City this winter. 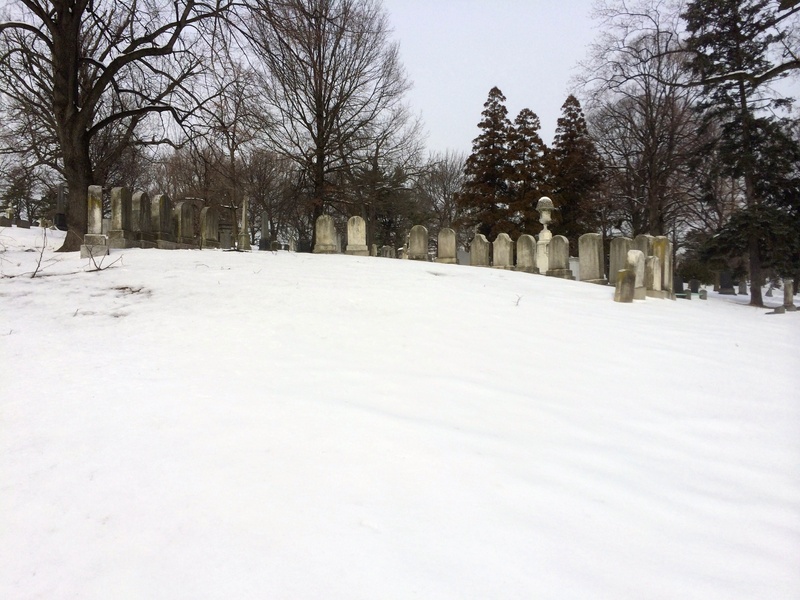 There is a little tramping here, but for the most part the snow in the cemetery was still pristine. Today was sparkling with bright blue skies and frigid temperatures. 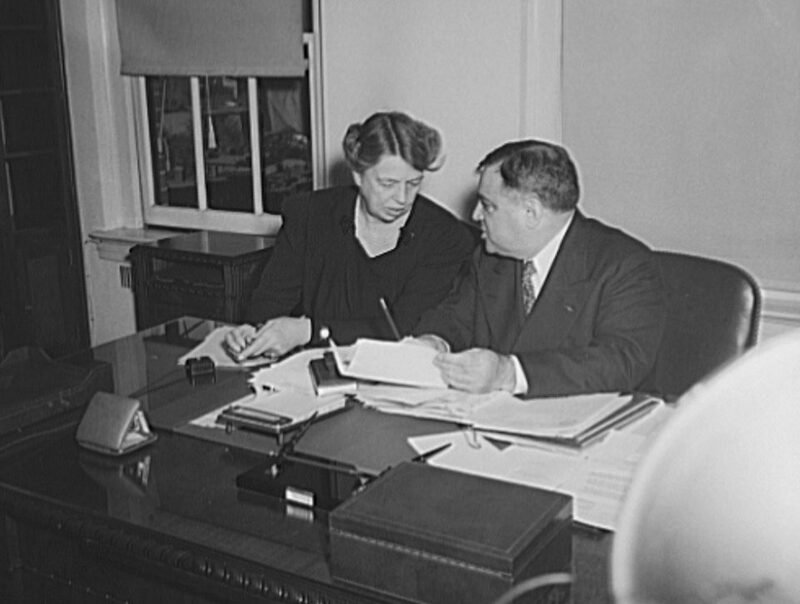 HAWLEY. — Buried in Greenwood, on Saturday, Oct. 14, the remains of Lieut. HARVEY P. HAWLEY, 82d N.Y. 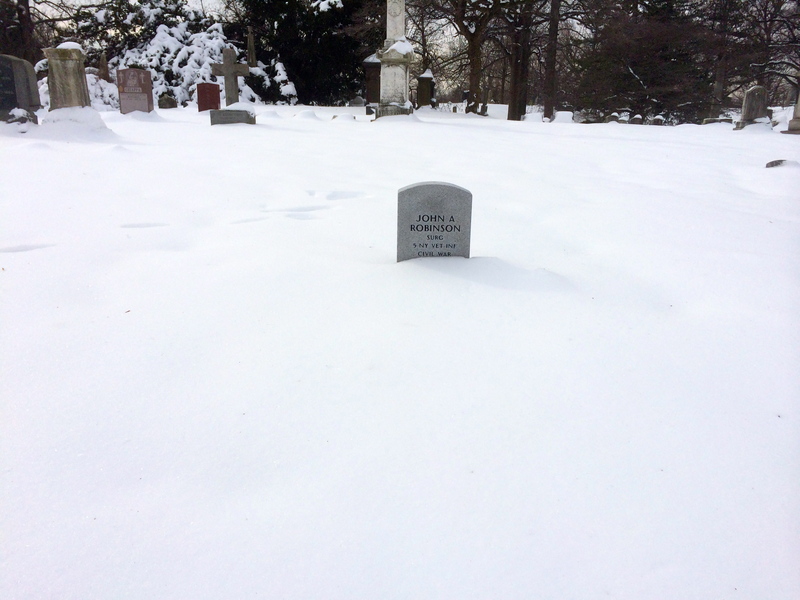 Vols., (or 2d N.Y.S.M.,) who fell in the battle of Fair Oaks, May 31, 1862, aged 23 years, 2 months and 17 days — the first officer slain of that regiment whose glorious muster-rolls numbered nearly five thousand men. Hawley was killed in the Battle of Seven Pines, the same battle in which Joseph E. Johnston was wounded and soon replaced by Robert E. Lee. I am assuming he was initially buried in Virginia and reinterred here in Brooklyn after the war. An Ancestry search reveals that Captain Hoffman Atkinson of the First West Virginia Cavalry was made a full captain on 28 May 1862, three days before Hawley was killed at Fair Oaks. He died in 1901. 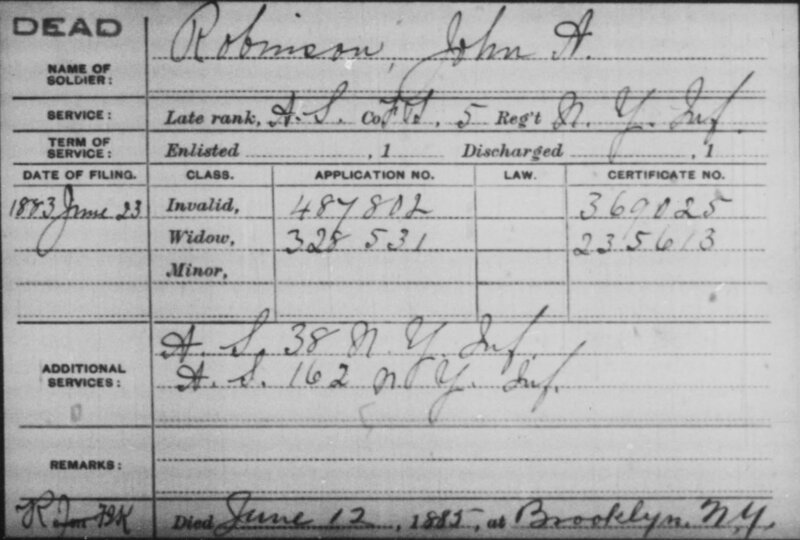 John A. Robinson was a surgeon in the 5th New York, also known as Duryée’s Zouaves. 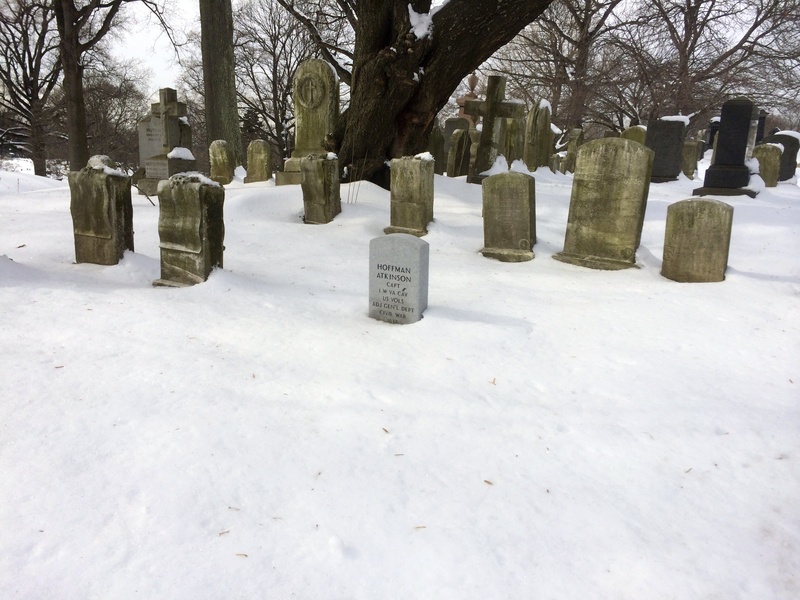 Many men of the 5th New York are laid to rest in Green-Wood. Colonel Abram Duryée’s himself is buried just around the corner from Robinson. 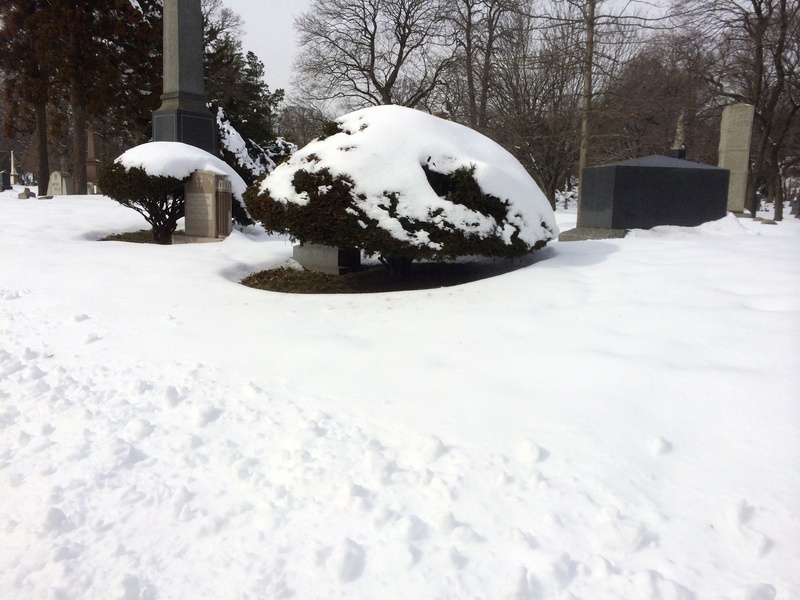 I was going to go up and take a picture of Duryée’s grave atop the hill where it stands, but the snow was so high I decided against it. Robinson died in 1885. Here is a record I found in Fold3. 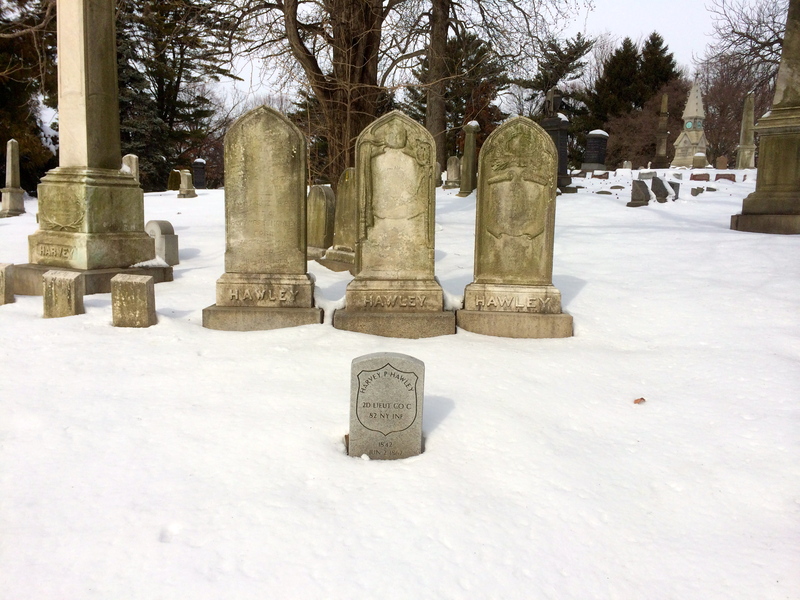 Attaching a story to a name on a headstone makes these men more real. We throw throw the numbers around a little too cavalierly. 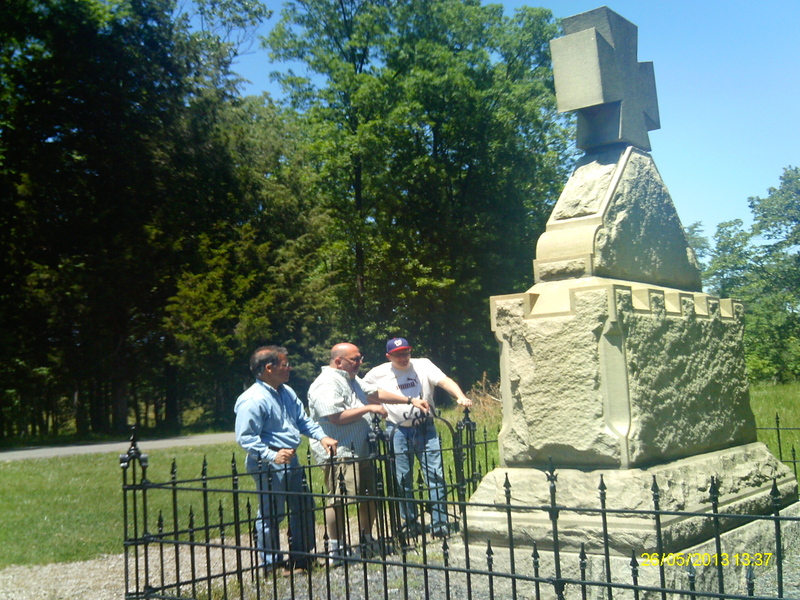 Above is a few of us at the 5th New York Volunteer Infantry monument at Manassas last summer. Way back in July 2011, on the 150th anniversary of First Bull Run, I posted about the New York memorials at Manassas. Robinson died a good thirty years before the monument was dedicated in 1906. The monument is for Second Bull Run. 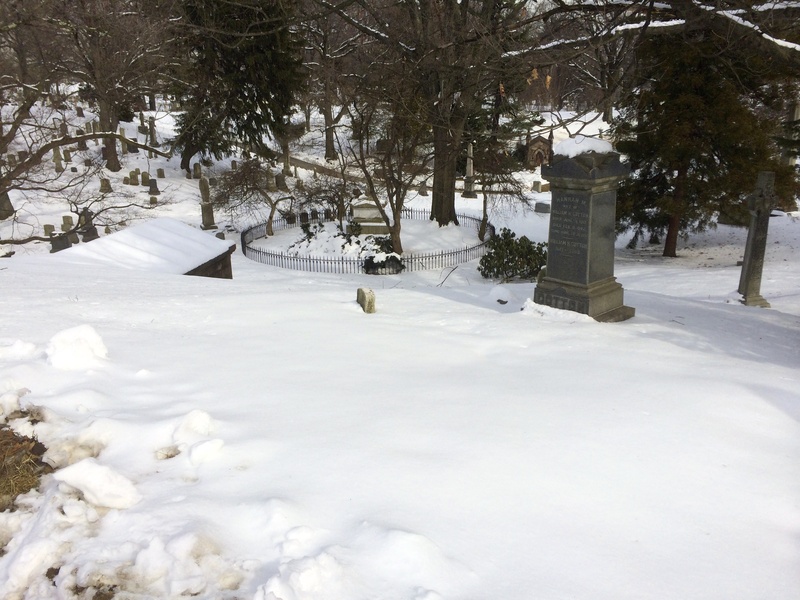 For the most part I was meandering, but I went out of the way to visit the Roosevelt family plot. Theodore Roosevelt Senior died on the day in 1878. I wrote a small something about this for the Theodore Roosevelt Birthplace Facebook Page this morning, so I will not into it here. If you check it out, make sure to like the TRB page for more.